Having resigned themselves to a future defined by cord-cutting, TV programmers are desperately trying to hold the line on bundling. 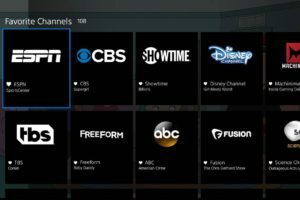 The virtual-MVPD movement started by Dish Network’s Sling TV service began by trying to split the difference between the bloated traditional pay-TV bundle and true a la carte by offering a slimmed down package of channels at a lower price. Since then, as more vMVPDs have launched to challenge Sling programmers have used their leverage to push up both the heft of the bundles and price tag, to where “skinny” bundles increasingly resemble what they aimed to replace, albeit at a somewhat reduced price. That strategy isn’t cutting it with many cord-cutters, however. According to MoffettNathanson analyst Craig Moffett, virtual-MVPD subscriptions are so far making up only about 60 percent of the losses from consumers cutting the traditional cord, a trend Barclays analyst Kannan Venkateshwar sees continuing. Over the next decade, Venkateshwar projects, 31 million traditional pay-TV subscribers will cut the cord, but only 17 million will sign up for an internet-delivered bundle. The a la carte on-demand subscription business, on the other hand, is shaping up nicely. 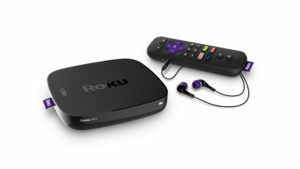 Set-top streaming box maker Roku this month reported 15 million active monthly accounts, a 43 percent year-over-year increase and more than all virtual-MVPDs combined. The privately held company generated nearly $400 million in revenue in 2016 and reportedly is preparing to file for an initial public offering later this year at a roughly $1 billion valuation. Notably roughly $100 of that $400 million in revenue last year came not from hardware sales but from its media and licensing business, which includes ad sales on Roku channels and fees it charges networks to be featured on the platform. Roku isn’t alone on the set-top, either. According to eMarketer, Roku 38.9 million Americans will use Roku at least once a month in 2017 (including multiple users per active account), up 19 percent over last year, followed closely by Google’s Chromecast, at 36.9 million, and Amazon’s Fire TV, at 35.8 million. One reason for that growth in connected-device usage is the growth in the number of U.S. households subscribing to more than one over-the-top subscription VOD service. According to a recent study by Hub Entertainment Research 38 percent of U.S. TV households now subscribe to two or more SVOD services such as Netflix, Amazon and Hulu. That’s up from 26 percent last year. Some 14 percent of households subscribe to all three major services, up from 6 percent a year ago. Not all of those SVOD subscribers have cut the cord, of course, but anyone who is subscribing to all three major services is paying about as much per month for them as they would for a skinny bundle. If consumers can be said to vote with their dollars they’re voting for a future that is on-demand and a la carte, not just over-the-top. The results of a consumer survey released Wednesday by Digitalsmiths raised some eyebrows for what they said about pay-TV viewers’ channel preferences in a hypothetical a la carte pay-TV universe, particularly with respect to ESPN. Asked if they would prefer to be able to select the channels they subscribe through a la carte, rather than in pre-selected bundles, nearly 82 percent said “yes.” That group was then given a list of 75 channels and asked to pick their own, ideal bundle. 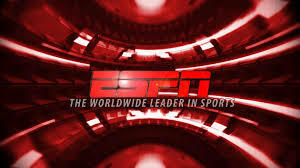 Fewer than 36 percent included ESPN in their ideal bundle, putting the top rated cable network in the U.S. well behind the Discovery Channel, which was cited by 62 percent of respondents.